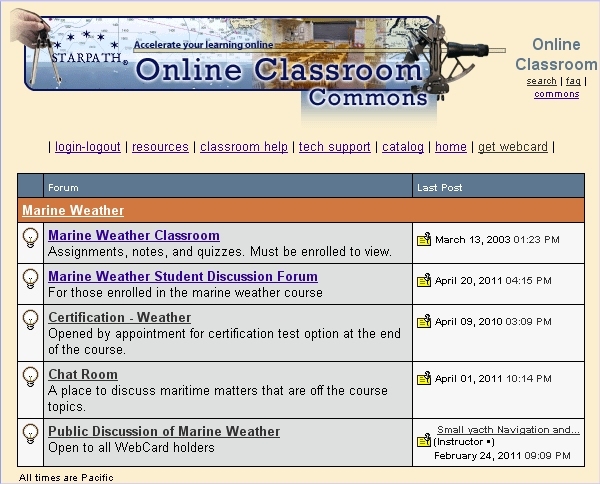 When you enter the active online classroom you will see several links to different sections. A sample from the Weather Course below is typical of what you see. 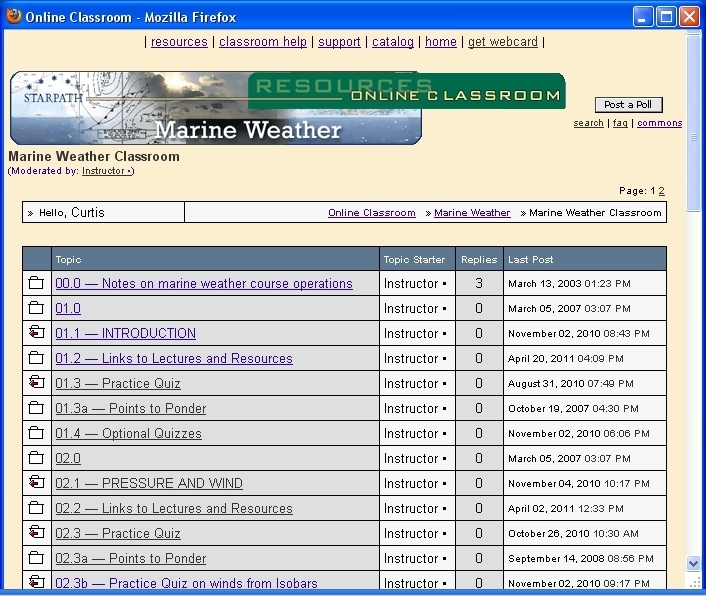 The top link is the classroom that lists the Assignments, more Resources, and Practice Quizzes. This is the main part of the course. A sample page is shown below. The next link is to the Student discussion Forum where you post questions and read other discussion taking place in the classroom. There will also be a link to the Certification exams, but they will not be active till you finish the course and choose to sign up for them. They are optional. 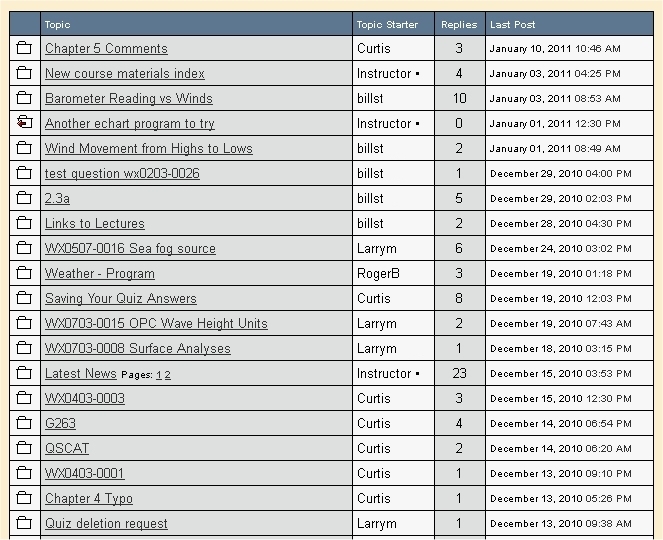 Some courses have a Chat Room for general discussion that might be off topic from the content of the course. In short, a place to visit with other folks taking the course. Finally there is another link to the Public discussion Group, which you can check periodically to see if anything comes up there of interest. Every course has this same structure and once here the job is to read the first section that tells what to do next. You will be given here reading instructions, practice exercises, and so on, along with the invitation to ask the instructor any questions that might arise in the process. Once the assignments are completed, you will print out the quiz, fill in the answers, and then come back and post them online so the instructor can grade them and comment on the quiz as needed. Below is a sample of the Student Discussion Group showing the questions that have been raised on notices posted. For more details on what you do with these links and sections, please see the syllabus and description for each of the online courses. These descriptions in turn, include more details unique to the courses.